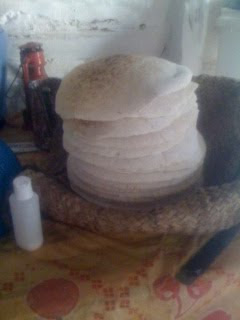 Haiti Next Door: Can One Live by Kassava Bread Alone? Kassava bread, a la maison Mon Bouton! With fresh ground peanut butter on wedges of kassav, our school children in the mountains buy local, eat local. 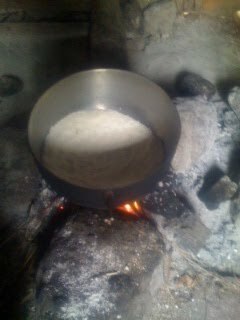 Goes great with steaming thick coffee in the way early morning by the fire nan kizin. Mmmmm!